November 15, 2017: Michael Kors is pleased to announce the opening of a Michael Kors Lifestyle store in Jeddah, Saudi Arabia, this November. 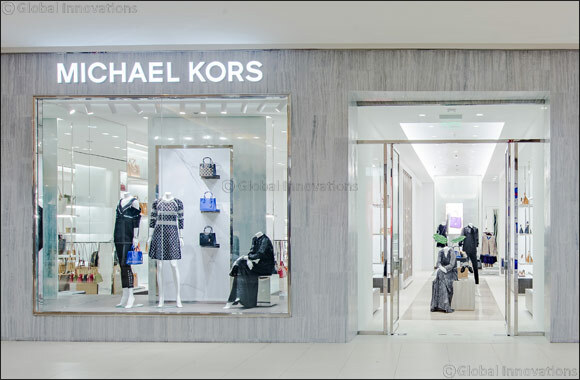 The 2,714-square-foot store, located at the Red Sea Mall, will carry ready-to-wear, footwear and accessories from MICHAEL Michael Kors, including handbags, ready-to-wear and small leather goods. The store will also carry watches, jewelry, eyewear and a selection of the brand’s fragrances, as well as an assortment of accessories and leather goods from Michael Kors Mens, including bags, briefcases, wallets, and watches. The design of the new Jeddah store represents an evolution of Michael Kors’ signature aesthetic. Mirroring the brand’s Regent Street flagship in London, the interior features displays of brushed and polished stainless steel and a rich spectrum of finishes evoking dark oak wood, Venetian plaster, and Calacutta marble. A palette of soft browns and grays, mixed with warm woods, textural finishes and luxe materials, reflects the label’s refined take on glamour while providing a modern and inviting ambience in which customers can browse, shop and enjoy the brand’s exceptional personal styling and service.